The city, CEO Ajay Pandey said, was witnessing a "hockey stick" growth curve -- in investments, in job creation, and in the progress of development. 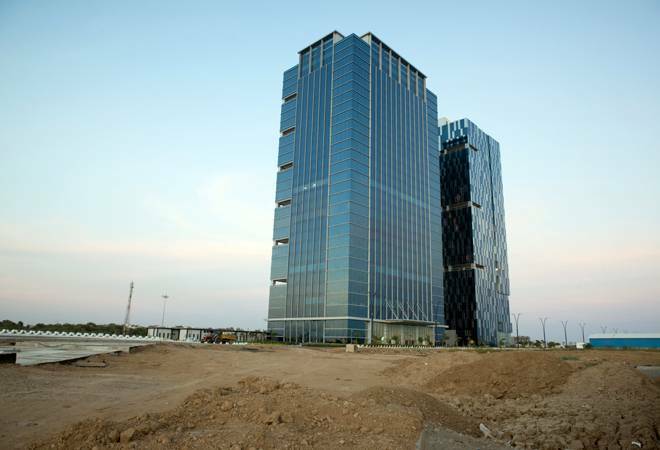 Gujarat International Finance Tec-City, popularly called GIFT, on Wednesday provided an update on its progress. It declared it is "India's first operational Smart City and international financial services centre." And frequently, the narrative of its executives suggested that the city was being benchmarked against Singapore and Dubai. 1. The city has 62 million sq. ft. of alloted land in its master plan. About 2 million of this is currently operational, and another 3 million is under development. The RFP for it's next phase of development has been initiated. 2. GIFT has attracted about $1.5 billion in investments. About 150 companies have started operations employing over 8,000 people. The city hopes to employ a million one day. 3. Companies operating include TCS, Oracle, Infibeam, Bank of Baroda, HDFC Bank, NSE, Reliance Capital among others. 4. The city focused on building an economic thread first. Residential infrastructure, starting with affordable housing, will come up next. 5. There are two significant stuff all green field smart cities promise -- ease of doing business and reduced opex. Why is that? GIFT has it's own urban development authority, so all clearances technically are "single window". Opex could be 20 percent lower because of lower people costs compared to metros and shared infrastructure such as District Cooling System. That is a centralised system to supply chilled water to all units in the city. GIFT would also be a bottle-free city to an extent. Portable drinking water will be available from any tap. 6. Growth trivia. In insurance, the sum insured by businesses operating in GIFT IFSC have crossed $20 billion. The exchanges have crossed cumulative trading turnover of $10 billion.